Love the beautiful blooms of bottlebrush, but don’t have space for them in your landscape? 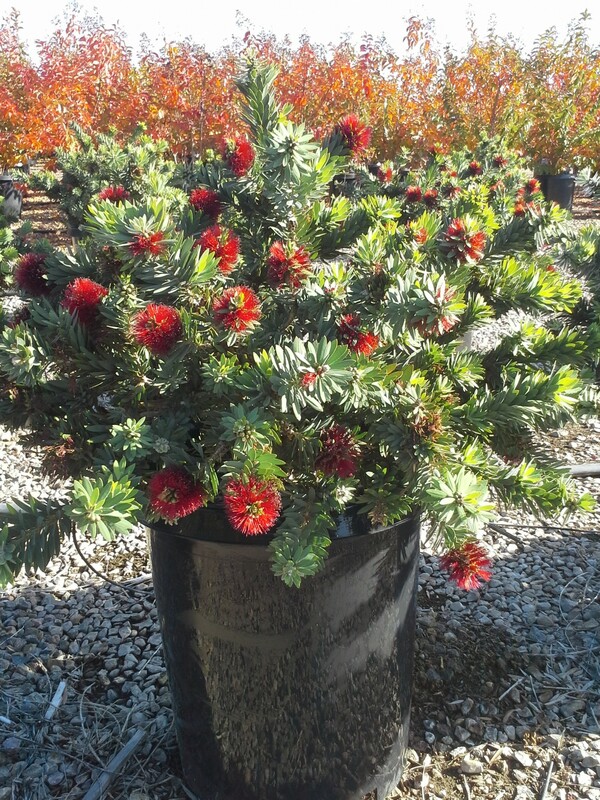 If so, be sure to check out Dwarf bottlebrush ‘Little John’. This variety stays more compact at only 8-feet tall and 5-wide at maturity: Perfect for smaller urban spaces. Bottlebrush is best loved for its bright sparks of bristled red blooms that resemble a bottlebrush. Flowers cover the tops of this dwarf evergreen shrub from late spring through fall. The red blooms look especially bright against the blue green foliage. Plants grow in an organic, rounded shape. This versatile, low maintenance plant is a perfect focal point in smaller, urban landscapes or planted en masse in low-maintenance areas. Bees, hummingbirds and butterflies will flock to bottlebrush, so plants are perfect for wildlife friendly gardens. If planting along a coastal region, dwarf bottlebrush is considered drought tolerant. You can even plant this dwarf variety in large containers. If planted in very dry climates with low humidity, water regularly to keep plants attractive. Pests are rarely a problem.